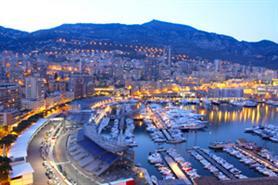 Monaco aims to boost its C&I business by offering event planners a series of special rates and benefits. Event planners are offered rates from €150 for three-star hotels and benefits including free upgrades, internet access and rooms when complying with criteria including sending an RFP to the convention bureau and ¨significantly¨ occupying the Grimaldi Forum. The initiative was announced at EIBTM by Sandrine Camia, who was appointed director of the convention bureau in August. The UK represents 12% of Monaco´s C&I market.